The latest legal thriller from John Grisham, centered around a shady, for-profit law school and the three young law students who investigate its murky dealings. Grisham’s newly reanimated storytelling skills are what make The Rooster Bar such a treat ... The Rooster Bar is written with the same verve Grisham brought to this summer’s Camino Island; with the same sense that this reliable best-selling author is feeling real pleasure, and not just obligation, in delivering his work. He seems genuinely to like this book’s main characters, even if the two men sound very similar and could be mistaken for young boys if it weren’t for their perfunctory sexual encounters — with the same woman, Hadley, an ace prosecutor who’s young, single and competing with her roommate over how many guys each can sleep with. 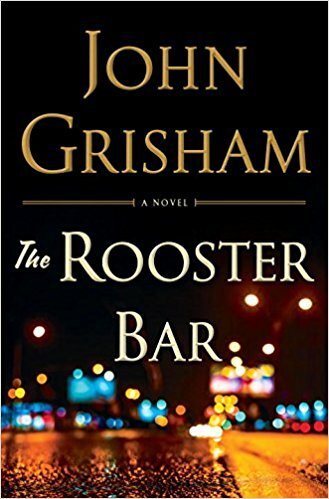 As in all of Grisham’s best books, the reader of The Rooster Bar gets good company, a vigorous runaround and — unlike those poor benighted suckers at Foggy Bottom — a bit of a legal education. This is a legal book that lawyers can read. 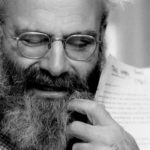 (It’s also pretty great for non-lawyers, too.) Not only is it free of any major legal gaffes, but it also addresses a problem within the legal profession that deserves attention: the deceptive practices of for-profit law schools ... Sure, there are some lucky coincidences and things happen on a very expedited timeline in this fast-paced novel, but no more than you would find in your average thriller. Moreover, The Rooster Bar highlights the appalling way that many for-profit law schools ruin many of their students. In the author’s note, Grisham writes that his book was influenced by an article in the Atlantic called 'The Law-School Scam,' a lengthy investigation of for-profit law schools. Bravo to him for using his star power to shine another spotlight on an all-too-real problem in this gratifying and all-too-real book. Somehow we root for this trio even when they’re buying fake IDs, breaking every rule in the book and venturing into territory that could land them in jail, like signing on to a class-action lawsuit inspired by the Wells Fargo customer-fraud settlement, which could earn them millions. Grisham, who’s at his best when he brings his sardonic sense of humor to the sometimes questionable ethics of law and banking, also takes aim at the politics of immigration ... As the tension mounts and the walls close in on our naughty young heroes (a few rookie mistakes are inevitable), Grisham plays a card from his most famous novel, The Firm. Lazy recycling or an intentional homage to an early classic, the one that got the lawyer-turned-writer started on his remarkable string of courtroom victories? What did you think of The Rooster Bar?